The Falcons Community Foundation are delighted to announce a new partnership with leading North East commercial law firm Muckle LLP today. 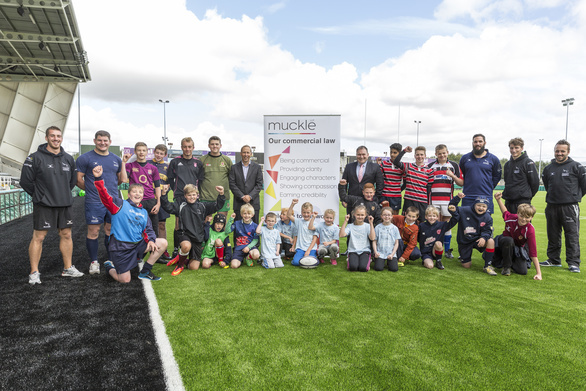 Muckle’s involvement will enable the Foundation to continue its work within the grassroots rugby community within the region. The partnership which is for two years, is a boost to the Foundation and its programme of delivery which will enable the registered charity to establish over 30 programmes across five pillars of activity; Social Inclusion, Health, Education, Grassroots Sport and Club Development. To ensure strong links between the Foundation and Muckle, Alan Ross, an Associate Solicitor at Muckle, will sit on the charity’s Board of Trustees.